The various components of yourself, your body mind and soul, are all connected. 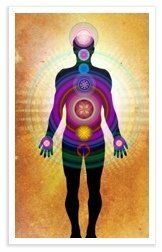 The energy that flows through your physical body, the thoughts that circulate in your mind and the emotions that you feel are all intertwined and connected, and they all influence one another. You probably don’t need me to convince you of this. You’ll already be aware of how your emotions can affect your energy levels, or how a physical illness can be brought on by stress. Likewise, your openness to the spiritual dimension of life can be stifled by negative thinking and the life-force that flows through your nervous system can be either helped or hindered by your state of mind. 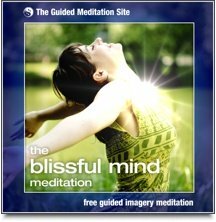 Have you ever attended a meditation class or listened to a guided meditation? If you have, then it’s likely that the meditation instructor asked you to focus your attention on your physical body at the beginning of the meditation. This was to give you the opportunity to identify any areas of your body that were particularly tense, sore or uncomfortable. Good meditation instructors understand the connectedness of your body, mind and soul, and they realize that tension that is stored in the body may disrupt your meditation and impede the flow of spiritual energy throughout your body and mind. Ask yourself, how is your diet? Are you physically healthy, or do you have aches and pains or a chronic condition that bothers you? Are you emotionally balanced, or do you sometimes suffer from anxiety or depression? Do you get enough sleep? How do you feel about your job? Does your work inspire you and give you a sense of purpose, or is it a tiring chore? Do you smoke or take drugs, prescription or otherwise? Are you energized or are you often fatigued? Are your relationships with those around you harmonious? Jenny was quite experienced at meditation, and quite capable for meditating very deeply. But in recent times she had begun to experience a great deal of frustration and distraction whenever she tried to meditate. She felt that it was becoming almost impossible for her to go deep into her meditation but she could not identify what had changed or why she was having so much trouble. In frustration she had begun to experiment with new meditation poses and had even tried out a few new easy meditation techniques, hoping that by trying some new ways to meditate that she might rediscover her ability to meditate deeply. Unfortunately, she continued to struggle and became quite frustrated about her apparent lack of progress. Even though she had enjoyed meditation for several years, she suddenly began to feel as though meditation was a chore. Jenny had sustained a minor shoulder injury from a car accident a few years earlier. She had never properly addressed the injury which would often become sore, waking her up during the night. The injury did not seem to bother Jenny during her meditation, but for over two years Jenny’s sleep was frequently disturbed by the interruption of her shoulder pain waking her. At first, Jenny did not see any connection between her injury and the depth of her meditation. However, eventually she tired of the pain and went to see a physical therapist. After just a few sessions of treatment, much of the pain in Jenny’s shoulder was relieved and she soon realized that she was sleeping better than she had in a long time. Being able to rest deeply during the night restored Jenny’s energy levels and she felt much less irritable during the day. When she would sit for meditation in the evening, she felt relaxed and focused even before she began to meditate, and as a result her meditation became much deeper than she had experienced in many years. She described a feeling of deep, soulful bliss in her meditations, coupled with a feeling of liberation from the pain she had been living with for so long. She also enjoyed a strong resurgence in her love of meditation. Jenny’s story is just one example of how a healing in one aspect of your life can lead to improvements and balance in other areas that may seem unrelated at first. Jenny’s problem was most obvious on a physical level (her shoulder injury), but it was affecting her sleep and causing her emotional distress, all of which was preventing her from entering into deep meditation. This left her feeling cut off from her inner self, her soul. All of this because of a minor shoulder injury! It always amazes me just how often we tend to “put up” with problems and strains in our life that could be solved with a little decisive action. It’s not uncommon for people to live with chronic pain or to suffer from troubling emotional problems for years and years. Likewise so many of us suffer through external conditions that grind us down, such as carring on with jobs that we dislike, or putting up with unresolved tensions within our circle of family and friends. It need not be. Sometimes the strains and stresses of life are the catalyst that turn a person towards meditation. Tired of the pressure and tension of their daily life, many people come to find great solace and healing in the practice of meditation, and find some much needed relief. But meditation can be so much more than just a relief from stress. Deep meditation can be a profound inner celebration of your life, a blissful silent union of body, mind and soul. Stop for a minute and ask yourself if there is anything in your life that you feel is unhealthy, or damaging to your mental or emotional wellbeing. Try to identify if there are any aspects of your life that are obviously out of balance and make a resolution to address them. Go and see that physical therapist, hire that personal trainer, discuss your feelings with a psychologist. Quit that job, or leave that unhealthy habit behind. Go and get that massage you’ve been promising yourself! If deep meditation is your aim, then you are probably someone who places a high value on health, happiness and spiritual growth. If this is true for you, then keep in mind that the total wellbeing of your body, mind and soul may require real action and real changes. And also keep in mind…that you deserve the best that life has to offer.